Great news for the people of Northern Ireland. 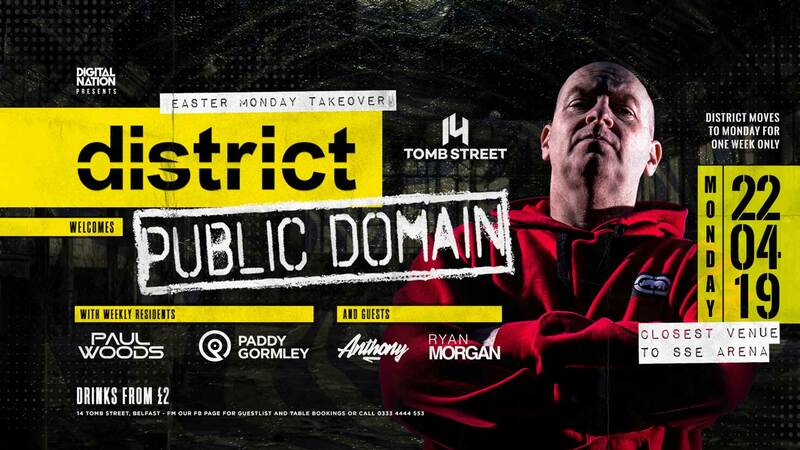 Get the date in your diary, Monday 22nd April because bass will definitely be in the place when Ayrshire hard dance act Public Domain take to the decks for his first Ireland gig of 2019. 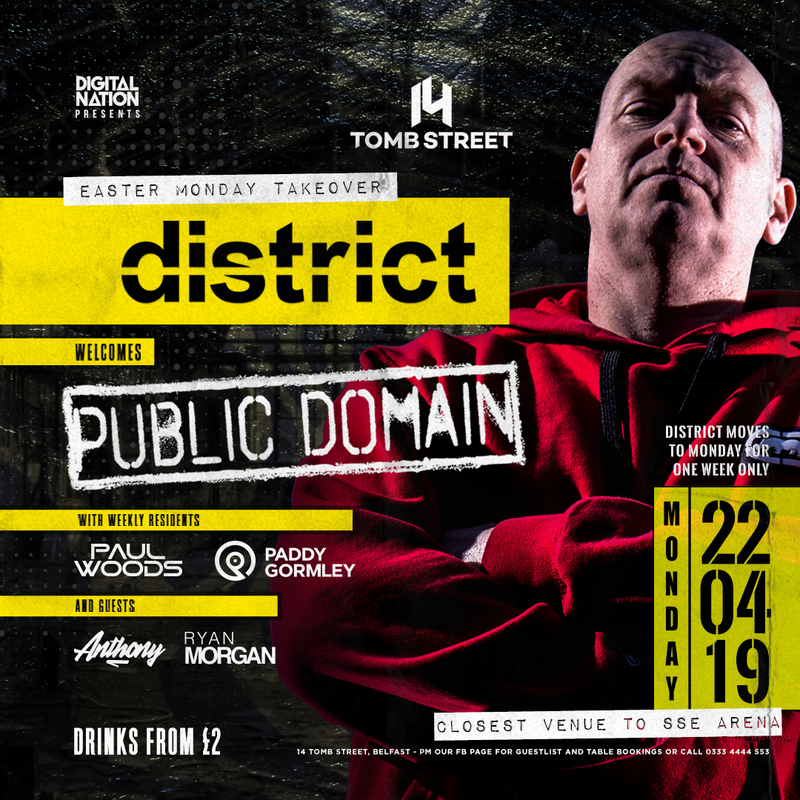 Taking place at the renown 14 Tomb Street in Belfast, Digital Nation presents District sees James Allan performing a past/present/future DJ set, delivering full on raw euphoric beats and reworked classics alongside residents Paul Woods and Paddy Gormley. Expect a banging night of hard dance and trance with plenty of roof-raising action. 2019 will see the 19th anniversary of James' global smash hit Operation Blade (Bass In The Place). This will be James' 2nd set of the weekend as he is features on the line up at the Tidy Euphoria in Birmingham this April. Public Domain have a wealth of music at the helm, having topped charts with Operation Blade and Rock Da Funky Beats. Remixes over the years have includes those for BM Dubs, Plaything, Flickman and DJ Gert to list a few. Recently the act have gone for the gritty, dark edged sounds of Amsterdam and the recent EP Hit The Resent/Lethality In Progress that got support from hard dance legend DJ Kutski and trance veteran Johan Gielen. Both releases are out now on Ascension®. Previous guests at Digital Nation include Richard Durand, Chris Schweizer and Jase Thirwell to name a few.